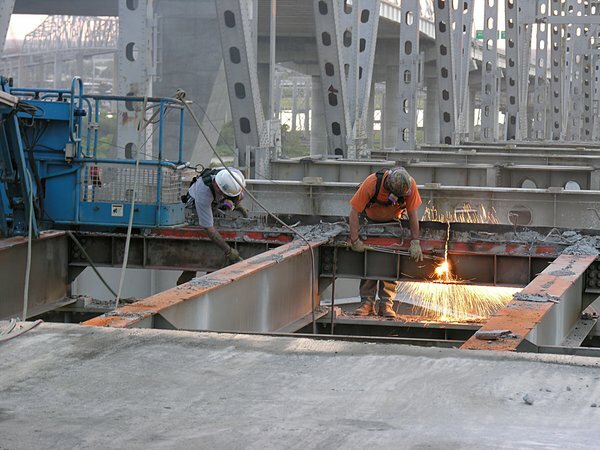 Once the concrete roadway has been partially removed, the torch guys work their magic - cutting the end giders in two places so as to make 3 pairs of longitudinal girders. 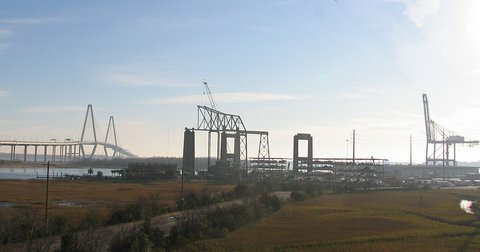 Once all the roadway has been removed, each pair of girders will be extracted with the grapple and then removed to the recycling site. The cutting torch has a very long handle so that the operators can reach difficult places for cutting. And how does the torch cut? The gas mixture is oxygen and some fuel such as acetylene. 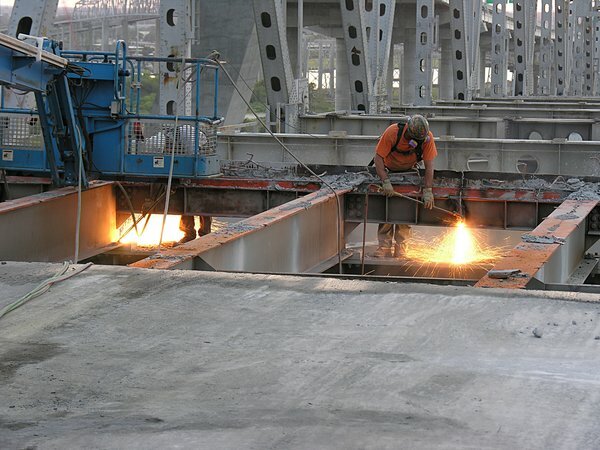 When there is an excess of oxygen, the residual oxygen is available for burning the metal being cut. When there is an excess of fuel over oxygen, the torch is used to anneal two surfaces. 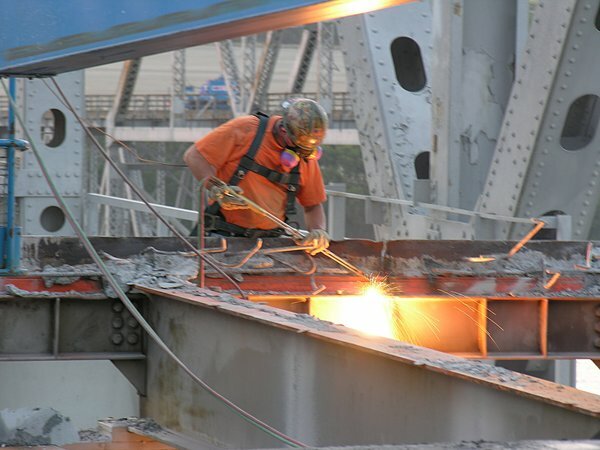 Here you can see the worker cutting through the steel beam.